GoCanvas gives you the power to replace your paper forms with fully customized mobile Apps that you design, deploy, and distribute - without writing a line of code. 3 steps will change how you do business in the field and in the office. Customize your GoCanvas App to collect the exact information you need. Start from scratch or from one of our pre-built templates. Or Send Us Your Form and we'll create a mobile version for you! Once your team fills out a GoCanvas App a PDF can be generated and emailed. 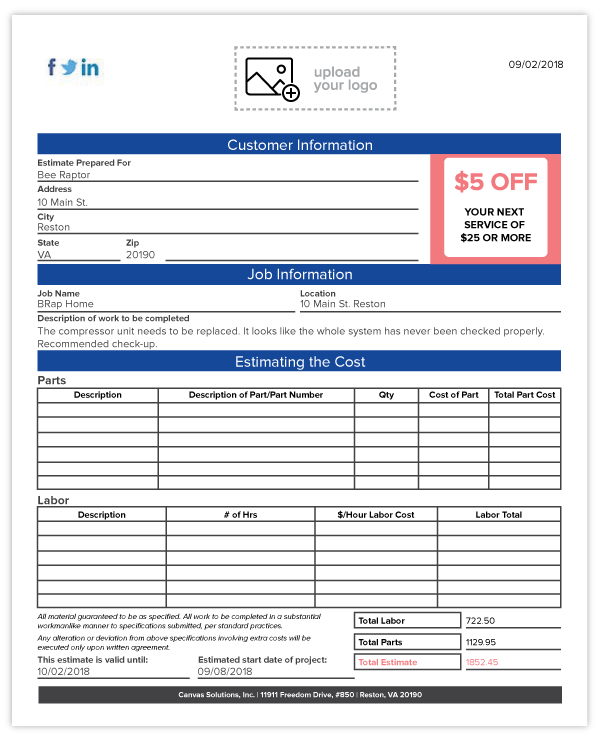 Customize this PDF to engage your customers and colleagues. Deploy GoCanvas Apps to your team so they can fill out forms in the office or field--online or offline. Data is instantly and securely saved to your GoCanvas account in the cloud. Get your data into the hands of the people who need it, from customers to co-workers. Or integrate with the systems you’re already using. Want to see what else GoCanvas has to offer? Check out our features page for more information. Want to see what our customers are doing with their data? Check out our testimonials and case studies. Are You Ready to Take Control of Your Data? Try all of our features for 30 days, then choose the plan that’s right for you, from our free individual plan to our enterprise-level suite of tools.